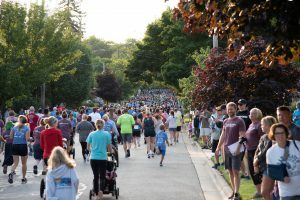 For 40 years, the Tri-Cities Family YMCA has hosted two exceptional run events in the beautiful community of Grand Haven. Our runs feature challenging courses, varied terrain and offer the beautiful views of Lake Michigan. All of the proceeds from the race events benefit youth and family programs at the Tri-Cities Family YMCA. The Tri-Cities Family YMCA invites you to join the fun in the Coast Guard Run presented by North Ottawa Community Health System and Mercy Health. There’s something for everyone from the avid racer to the occasional walker, with our 5K Run/Walk, 10K Run/Walk, the 1 Mile Family Fun Run/Walk and the Tot Trot obstacle course for ages 3-6. All ages are welcome to participate, so bring your mom, dad, grandma and grandpa. 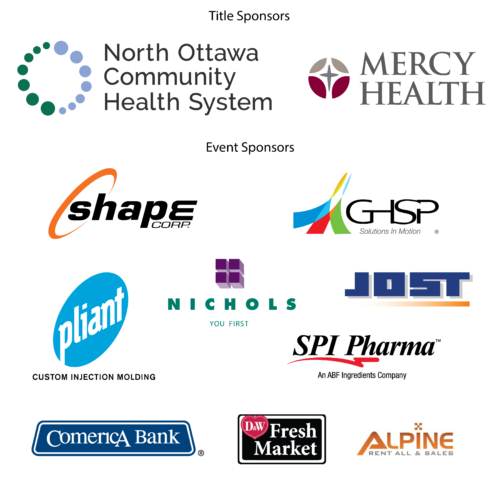 Join us for our annual family event as we promote healthy lifestyles in the Tri-Cities area. Friday, July 26 from 4:30-7:00 p.m.
Saturday, July 27 beginning at 6:30 a.m.
All packets must be picked up by 9 a.m.